Our Affair Recovery Counseling services in Tulsa, OK include the most successful and proven methods to create our unique approach to affair recovery. We have successfully helped hundreds of couples completely heal their relationship in a little as 12 weeks. At Marriage Solutions, we offer an Affair Recover Program in Tulsa, Oklahoma. An affair can happen to any relationship and can leave those involved betrayed and in despair. 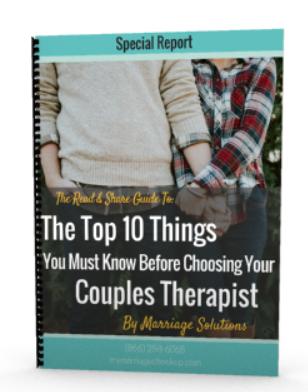 An affair is usually a symptom, and Marriage Solutions can help Tulsa couples find a safe place to face their problems and rebuild their relationships, sometimes becoming stronger than ever. No one is immune to an affair. They tend to happen after many years of marriage, for men in the 55 – 65 age bracket and women of 40 – 45 years. Religious and nonreligious couples are both susceptible to affairs, and those couples who are struggling financially may be less vulnerable than couples who are not. Also, people who are spending a lot of time traveling, working, or both, may be more vulnerable. Couples who are forced apart by work or family commitments can benefit from strategies that build intimacy, even if they already have a strong union. The fall-out from an affair effects people in very similar ways. Many people experience symptoms of PTSD. They find their emotions fluctuate tremendously. Naturally, insecurity sets in, and questions like “what makes them think they can do this to me?” or “have they ever loved me?” Anger, insecurity, guilt, and resentment are some of the toughest emotions to endure, especially when they are centered on the person you love. ‘Innocent’ and ‘guilty’ labels may stick on the surface, but it is often more complicated than that. We all know it takes two to make a marriage work. Both parties will be guided through these hurts together. Difficult as the hurts are, they still beat genuine indifference. Once identified, Marriage Solutions therapists will begin to lead you to the post-traumatic growth you desire. Marriage Solutions has worked with thousands of couples from Tulsa and around the world to heal their underlying problems. These deeper issues may have completely different emotional origins to those that surface after an affair. First, it takes skill to create a therapeutic environment in which couples are able to suspend ‘reaction’ emotions and get to causes. Secondly, there is no denying that it hurts, so affair recovery requires that both partners may need to deal with the past, not only their own past as a couple, but individual emotional issues that have haunted them for years. These things require a therapist with experience. At Marriage Solutions, we specialize in couples’ therapy. We are confident that our focus, specialized training, the supplementary support materials we provide, and our conviction that a marriage is worth saving, enable us to provide the necessary level of skilled support for couples working on affair recovery in Tulsa. It is also worth remembering that there are countless examples of couples torn apart by an affair who have managed to heal themselves, heal their rift, and untangle the ‘patterns’ which set them up for failure in the first place. Coming for couples counseling that is specifically orientated around affair recovery is important when recovering from such a huge relationship injury. Once the affair recovery counseling is done, many Tulsa couples find they are able to trust again, open themselves up to each other again, experience vulnerability, and enjoy life with their spouse in ways they never thought possible again. Not only do they have the benefit of years of commitment already under their belt, but there is the strength they have gained from working through the deeper issues together. Many of our previous clients have said that the couples’ therapy enabled them to find each other again, giving their marriage a new lease on life. Contact our Tulsa, OK location today to find out more information.